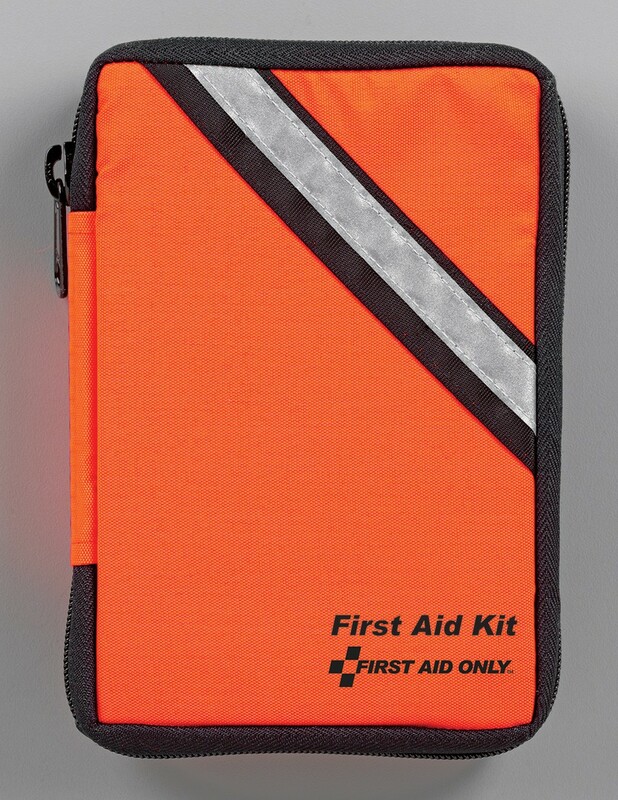 Perfect for hiking, camping, marine adventures, home, and auto. 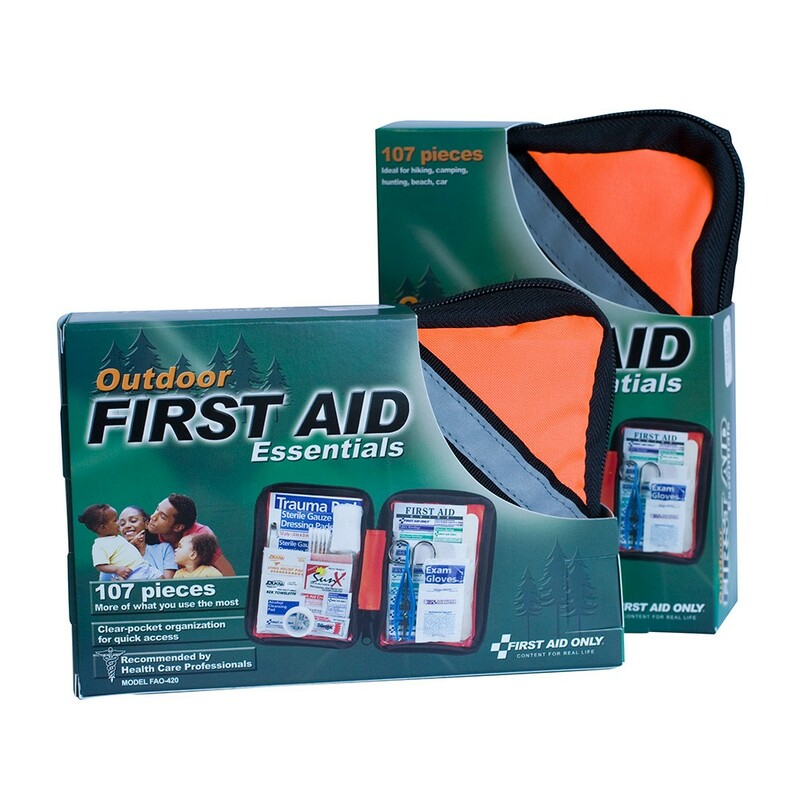 These Outdoor soft-sided Kits feature all the essential first aid items for minor aches and injuries. 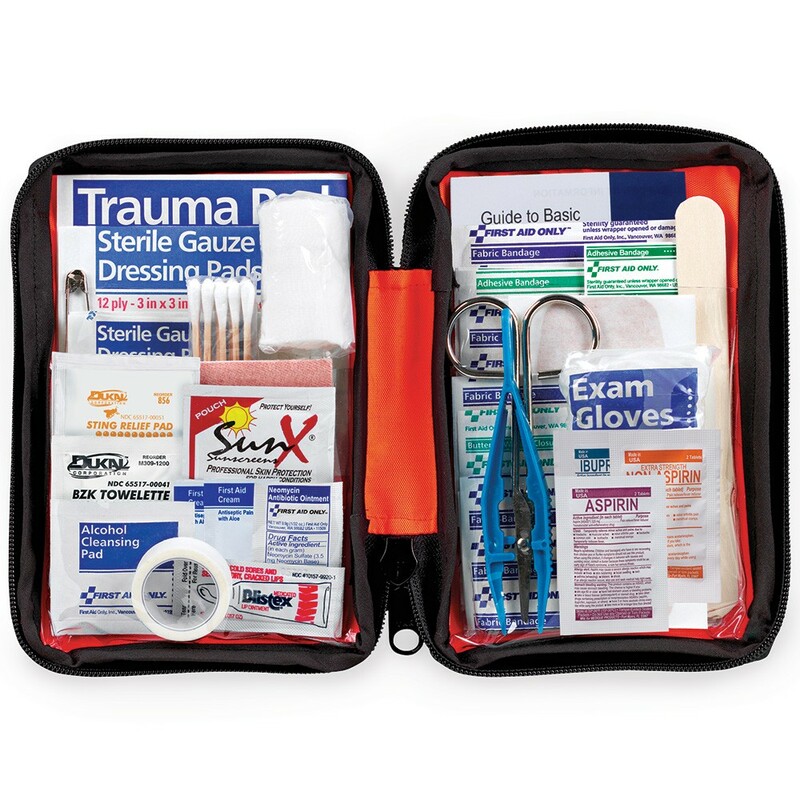 Supplies are easy to find in clear-pocket pages. Contents subject to change without notice. Measures 7 3/4"L x 5"H x 2 1/8"W.